Governor Ali Joho Says his life is danger again after coming back from the US. - Bana Kenya News, Real African Network Tubanane. 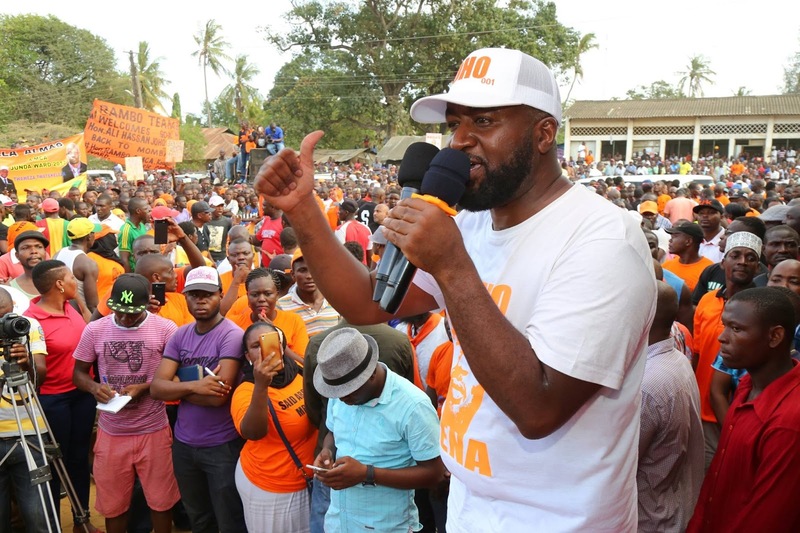 Home Unlabelled Governor Ali Joho Says his life is danger again after coming back from the US. Governor Ali Joho Says his life is danger again after coming back from the US. The Mombasa governor Ali Hassan Joho yesterday frightened his county following the arrival from the US. The governor who passed through Changwamwe to saba saba all the way Bamburi where later he held a rally at Freetown grounds in Nyali constituency. 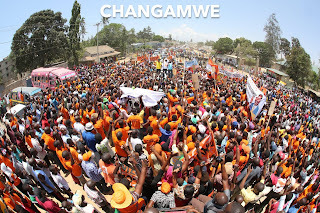 The governor continued his support for Hon Raila Odinga to clinch the presidential seat come to the general elections. The governor also pointed out what the Jubilee government has done to him. He also shocked the crowd when he allegedly said that some jubilee members are planning to assassinate him. The governor is expected to wake up sleeping leaders who are the very people criticizing him. 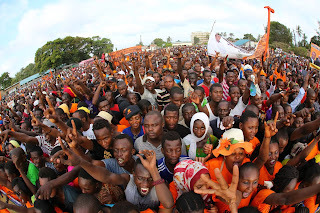 The weeks he was not around none of the critics said anything in Mombasa. The state administration became numb and dumb. The Mombasa Governor which calls himself "Governor 001" is expected to be crowned as the King of Coast region following his strong and massive support from across the coast communities.